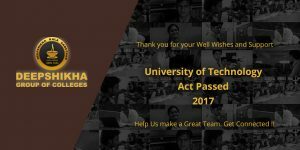 Thank you for your Well Wishes and Support University of Technology Act Passed 2017. Help us Make a Great Team. Get Connected! !